#MeToo became a trending hashtag in recent times, with men and women of different backgrounds, working for different industries coming forward to voice out the sexual harassment at the workplace. It became a worldwide movement, with new reports of harassment coming up almost every other day. The severity of the issue made every organization, big or small, take notice of their own company policies to tackle such cases. The #MeToo movement has in a way, helped re-emphasize the importance of having an effective anti-harassment policy at workplaces. Hence, enterprises are now focusing on delivering an effective POSH (Prevention of Sexual Harassment) training to their workforce. Employers have a responsibility to provide a safe working environment to their employees. And what is a safe working place? Safety doesn’t just mean being free from life-threatening situations. The POSH law tries to reinforce a safe work culture and prevent a hostile or discriminating work environment. Your employees wouldn’t want to work at a place where they are not comfortable. Hence, it is mandatory for every organization to comply with the POSH laws and deliver POSH training to all its employees. The Sexual Harassment of Women at Workplace (Prevention, Prohibition and Redressal) Act was passed to protect women from sexual harassment at their place of work. The Prevention of Sexual Harassment Act (POSH) defined the scope of the act, rules and action plans to help female employees who have faced sexual harassment. So yes, there is a law to protect women at their workplace, but the lack of awareness among employees has made it as good as non-existent. POSH training aims at educating employees about the law governing sexual harassment, and thereby prevent any such mishaps. Why is POSH Training Required? With the rising number of women professionals in the workplace, it is necessary to take steps to protect their interests. Offering transportation and flexible working hours are one way of ensuring their safety. But, they also need to be safeguarded against sexual harassment. Hence, enterprises must conduct training programs for all employees to sensitize them about gender issues. How to deliver POSH training? Sexual harassment is a serious topic and must be dealt sensitively without making anybody uncomfortable. There are many workshops that are conducted by government bodies and NGOs who work to help victims of sexual harassment. You can also conduct workshops in a face-to-face classroom-style training in your organization. The only drawback to this style of training is that if you have a large number of employees in your organization, arranging training workshops for every employee at a particular time might prove tedious. Some people might miss out on the training. Keeping a track of employees who’ve attended, ensuring everyone has taken a test in the end and evaluation of the test could become hard to manage exercise. A better and far more manageable alternative to live workshops would be to deliver one-to-one training on a mobile device. Mobile-based training delivery is anyway being practiced in almost every organization. So, employees are familiar with this kind of training structure. By delivering POSH training on mobile devices, you can ensure that every employee has undergone a training program. You can also view their test results and evaluate them in an organized manner and provide immediate feedback. So, it is better for organizations to deliver POSH training on mobile devices. With appropriate training, you can create a healthy work environment where employees feel safe and are respectful towards each other. How to deliver (Prevention Of Sexual Harassment) POSH training? Every employee in the organization, right from the management to junior level employees must undertake POSH training. Creating a mobile-first training module ensures that all your employees have access to the training content and can go through it anytime they want. For mobile training, the content is usually designed in the form of short modules, so that employees can easily go through them quickly and retain the information. Make people understand what constitutes sexual harassment. There are times when the victims aren’t sure if they must complain, they’re unsure if what they have faced could be termed as sexual harassment or not. It could be a verbal comment, a suggestive joke, quid pro quo etc. The incident doesn’t necessarily have to occur within the workplace, it could be at a social gathering organized by the company, business trip, via electronic communication such as SMS, email, telephonic conversation etc. Or the situation could be vice versa, some employees might not realize that their actions are creating an intimidating and hostile environment. In order to avoid any confusion and to keep everyone on the same page, you must define the types of sexual harassment so that everyone is conscious and well aware of their actions and try to create a safe and healthy workspace. Images can convey a message better than text. Create a scenario-based learning module so that employees can understand situations better. You could give them a certain scenario and provide options to choose from so that they know which one constitutes sexually offensive behavior. Including rich graphics and moving images help in keeping the user engaged in the training program. Animations are also an effective medium to make people understand about the do’s and don’ts of workplace behavior. In fact, animated videos help people stay engaged in the content and increase their retention value. You can also include case studies in the form of animated videos to help them understand the kind of behavior that is acceptable and unacceptable at a workplace. It will enable your employees to build a culture of mutual respect and equal opportunity. Design interactive quizzes to gauge your employees’ understanding once they have undertaken the POSH training. These quizzes could be included in between chapters with interactive elements such as drag and drop, multiple choice questions etc. It will ensure that the learners have completely grasped the concepts explained in the course module and understand the consequences of misconduct with their co-workers. Mobile learning modules are designed in such a way that when a quiz has been completed, the answers are immediately available for the instructor to evaluate. Thus, the trainer can view each employee’s response and provide them with immediate feedback if necessary. Ensure your delivery platform also has an analytics feature. An analytical report will provide insight into each employee’s level of progress. It will provide a detailed analysis of how many employees have taken the course, and how many have fared well in the quiz. This is an essential step to ensure that everybody has undertaken POSH training and understand the types and consequences of sexual harassment at the workplace and otherwise. Rather than an estimated knowledge about your employees’ performance, you can get the exact information, which can then be used to plan and redesign your training module. A detailed analytics report will help you design and deliver POSH training in an effective manner. 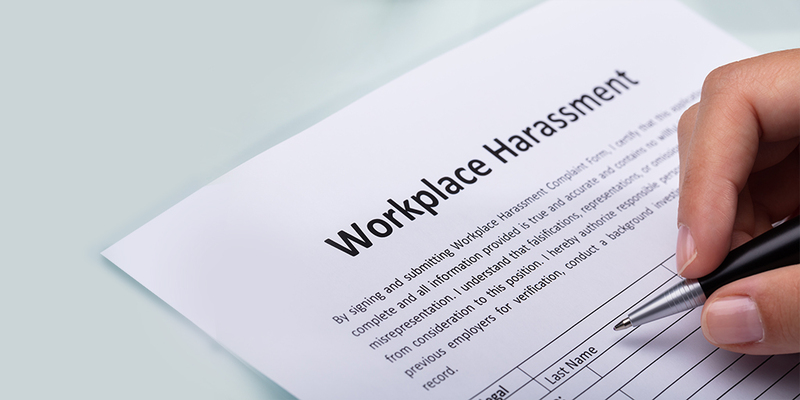 Your employees must be aware of whom to approach if they face harassment at the workplace. Every organization is expected to comply with the POSH law, and non-compliance could lead to monetary penalties for the employer. You could set up an online platform where employees could come forth with their complaints without any hesitation. Ensure that your employees are aware of the redressal forum in your organization, and also of other online complaint portals such as SHe Box (Sexual Harassment Electronic Box). According to the law, every organization must have a POSH redressal forum. In case of any complaints, the employee is expected to approach the Internal Complaints Committee (ICC) established within your organization. A minimum of four members are needed to form the ICC, and the composition should include a senior woman employee employed at the workplace/or belonging to any other organization if the workplace does not have a senior woman employee, and two employees at the workplace who have awareness in gender issues or social work or committed to the cause of women or have legal knowledge. An external member must also be appointed who is associated with an NGO, is a social worker, or someone who is familiar with issues/laws relating to sexual harassment. It is absolutely essential that all your employees are aware of the rules of POSH Act, penalties, and the point of contact. As per law, allegations of sexual harassment need to be filed within three months of the incident. The perpetrator could face up to three years in prison, and a fine. While a breach of confidentiality will result in a penalty which will be collected by the employer. In order to increase awareness, you could send out emails highlighting the importance of safe workplace or conduct workshops for safety and self-defense at regular intervals. Unless people are aware of the law, such incidences will keep occurring, which is not good for any individual or organization. Many women fail to lodge a complaint for fear of humiliation or reciprocal by the accused. You need to make it absolutely clear that your organization has zero- tolerance towards sexual misconduct, making the female workforce feel safer. Ensure that your company complies with all the rules of POSH law, including the constitution of the ICC. POSH training is necessary to foster a respectful and safe working environment for women. One incident is enough to create a bad reputation for the company and to ruin the career of the accused employee. So, you must ensure that your employees are sensitized about the boundaries of acceptable and unacceptable behavior. You can design interactive and engaging training content on a mobile device with the help of Kitaboo. It will take care of creating and delivering compelling content, and also give you in-depth analytical knowledge about the training delivery and consumption patterns.